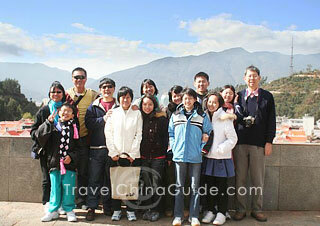 I should begin by saying that we were thoroughly satisfied with the services provided by Travel China Guide. We had some problems but they had to do with the flights of China Southern and were not your fault. Perhaps the itinerary we asked you to arrange was too ambitious. Meeting and greeting. Perfect: from arrival at Guangzhou to departure from Beijing we were met and seen off at airports and railway stations promptly and politely. Hotels. Xian excellent, Dunhuang fine (though they refused to give us a drink with the lunch we had there). Turpan was fine. Because of late planes (we arrived at Kashgar at 06.00 instead of 22.25 the previous evening and had four hours sleep at the hotel there; we got to Urumqi at 03.00 instead of 23.00 the previous evening and spent three and a half hours at the hotel there) it was hard to get much of an impression of hotels in Kashgar and Urumqi. Bamboo Garden in Beijing is pure delight. I would suggest that if you have a late arrival from Kashgar and an early departure from Urumqi the next day you should use an aiport hotel rather than the Grand Xinjiang which is fine but about 25 minutes from the airport. Guides. Three out of four were A+. Miss Zhang in Xian, Miss Shan in Turpan/Urumqi and Mohammed Ali in Kashgar were first class: spoke good English, were helpful and knowledgeable and did not keep steering us to factories and shops. The only disappointment was David in Dunhuang who is very pleasant but his language skills were yet to be improved. Meals varied from the excellent to the adequate. To be honest when you are travelling and after a big hotel breakfast you do not need much lunch: often too much was provided. One meat plate, some vegetables, rice/noodles is really enough. Westerners eat less than you think, perhaps. But overall we have nothing but praise for your organisation and we would be very happy if you want to use us a reference. For our information the French agency Voyageurs du Monde charges US$1944 just for the Xian-Dunhuang-Turpan-Urumqi-Kashgar-Urumqi trip (six days, five nights) with two people sharing. So your prices are very reasonable. 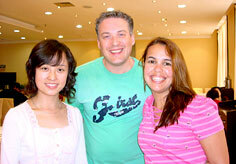 We hope to return to China soon and will unquestionably use Travel China Guide. Thank you very much for taking good care of this wonderful 'China Experience' we had during this trip. The planning was -as the overall comment- very good ! It was also very nice that we were able to meet you (shortly) in Xi'an and we were happy so meet 'the face behind our emails' :-) We are happy to give our comments so that you can help other customers in the future with your services. You can publish these comments on your site if would like to do so. If you would need more information, don't hesitate to contact us. The communication during the planning of the trip was comforting and to the point. You always gave very accurate info on the planning and the changes. Pricing was very fair and followed correctly. We had no surprises during the trip, which was a very good 'low-stress' factor. All of the local guides were at the meeting point (airport, station) and they had a good name-tag in their hands. They clearly knew who they had to expect. All of the flight (train) tickets for the connecting travel were given in time and correctly. All of the drivers we had in all the different places were very professional and friendly. Another big PLUS for the organization is the provision of some bottles of water during the day. Many thanks for this complete service ! The local guide was formal and correct. Sometimes she was a little bit too fast in showing us around, but she had a very good understanding for us having our 2year old daughter with us. She took good care of her while we were taking some pictures. The Hotel was PERFECT ! The peking-duck diner and the peking opera was for us a little bit disappointing; The show in Xi'an was much better ! Here was the local guide miss May (English name) and she was very, very good. She had a very good knowledge of history and society, she was discrete and yet always there when we needed her. She also gave us good tips for having a dinner in the evening. 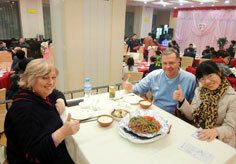 It was a real pleasure having her as guide and we would like to recommend her to all the other visitors of Datong ! The hotel on the other hand, was poor and we would like to recommend you to choose an other hotel in the future. The local guide was very professional. The tour program was changed (upon our approval) and this was much better : first some history in the provincial museum and after that all the sights to visit. A good point of the guide. She took us also to another restaurant than planned (again with our approval) and this turned out to be a very good thing to do (The Prince restaurant is absolutely great). She also combined the Tang dynasty show with the dumpling dinner at that same place which was OK for us ! The show was very beautiful ! The Hotel was good ! Here we had William as guide. He is also a TOP guide. He is gentle, well informed, gave good information, gave us options for the day (the water in the Li-river was rather low so we could not complete the whole cruise). 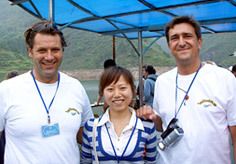 We like to recommend William as the guide to ask for when visiting Guilin. The hotel was good but perhaps a little bit too 'western' for a China-trip. Here our local guide was the young Linda. She will be a good guide but still has a lot to learn. Her background information is not yet so big. She also took us to 3 'obligate' shops (Pearls, tea, local collector) because she 'had to'. (This to our big surprise, but she seemed very honest). She was very friendly with our daughter and took good care of her (we trusted her). Thanks for your great help! We have a wonderful tour in your country. Both the guides in Kunming and Xian are excellent, who are friendly and knowledgable. Very sensitive to our demands. All arrangements are perfect. We have enjoyed everything. Beijingtrip has done a wonderful job. My best regards to you and those two guides. 2) Guides - we spoke in Chinese throughout, and occasionally the guides do use the English terms where they find that we are unfamiliar with a particular Chinese term. We are very happy with the services provided by all the guides, and the trouble they took to fill us in on the local history, culture and customs. Special mention must be made of Yanmei (Dali) and Mr Tuan (Lijiang), though the other two also gave good commentaries and were helpful towards all our requests. Please convey our regards and appreciation to them, and can you also give all of them my contact should they wish to contact us or come by Singapore in future. 3) Buses and drivers - we spent most of the trip with Yang Shi Fu (Dali to Zhongdian), so it is natural that we have a deeper impression of him. He was most helpful and humorous in his own way :) We really appreciated his company and useful advice from time to time. We spent only one and a half day with Wu Shi Fu in Kunming, in far more challenging traffic conditions, so it is hard to compare the two. In conclusion, the services you have provided is the best way we could have travelled and experienced the local sights and rich culture in places such as Yunnan, where it would have been difficult for independent travellers like my group to move around on our own. The features, such as a local market and traditional houses, that the guides introduced to us gave us a much deeper understanding of the land and peoples we move through than we could otherwise have known. I attach a group photo of the 13 of us at the Erhai Park at Xiaguan (Dali), on the day we arrived. Thanks again for you assistance and efficient service and best regards. Here is the completed comment sheet. Please DO NOT publish my email address, but yes, it is okay to publish any comments I make. We had one guide (York) and a driver during our whole Tibet tour and both were excellent and treated us very well. York's English was good and we did not have any problems communicating. He was knowledgable about the places we visited. The driver's attitude was great, and he helped the tour guide point out different things every now and then. The car was very clean and we had no problems. It was very comfortable. Our tour guide, York, was very helpful and we especially enjoyed his ability to bargain for us at Barkhor street. Being foreigners, we knew that we would be overcharged for things. York helped us and told us when we were being overcharged and tried to help us bargain and lower prices, which he did effectively. We bought a lot of souvenirs in Lhasa and were able to get more for our money with York's help, which we appreciated very much. He was very patient when we stopped to take hundreds of pictures!! Never appeared annoyed or impatient, he was a very good tour guide. When we told him our meals were not very good for dinner, he tried to arrange with the restaurant manager a guaranteed good meal for us on our last night and ordered different dishes that we would like. We appreciated his efforts, but are sorry to say that although York did all he could to ensure a good meal, the restaurant did not and what York placed on our order was not what was served to us. Overall we enjoyed our trip to Lhasa, Tibet and will remember it as a once in a lifetime amazing trip! Thank you, if you have any more questions, please feel free to email me.